Date and place of birth: May 21, 1962, Madrid, Spain. Degree in Economics and Business, Complutense University of Madrid. Group Chief Internal Audit Officer (since January 2018). Assistant General Manager of Accounting Coordination at MAPFRE (since 2011 to 2018). Joint and several administrator of Instituto Tecnológico MAPFRE (2008-2017). Member of the Board of Directors of BANKIA MAPFRE VIDA (from 2008 to 2009). Member of the Board of Directors of MAPFRE AM, SGIIC, SA (from 2012 to 2018). 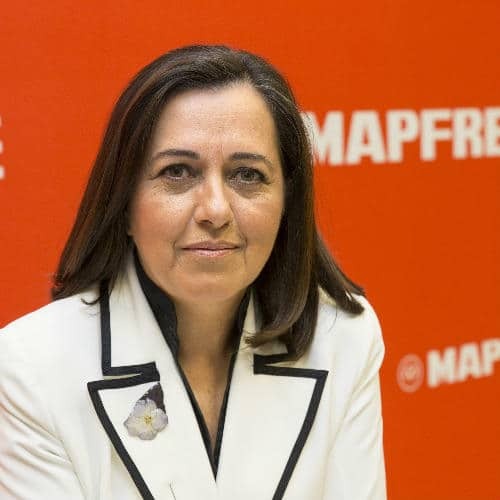 Member of the Board of Directors of MAPFRE VIDA PENSIONES, EGFP (from 2012 to 2018). Member of the group of representatives of insurance groups and conglomerates of UNESPA (2013-2018). Member of the solvency and accounting committees of UNESPA.